We’re already more than halfway through Autumn with more rain likely from now on through the winter months. If your green has Localised Dry Patch (LDP), then this could present you with an ideal opportunity to get it fixed properly. The very dry summer exacerbated the problem. 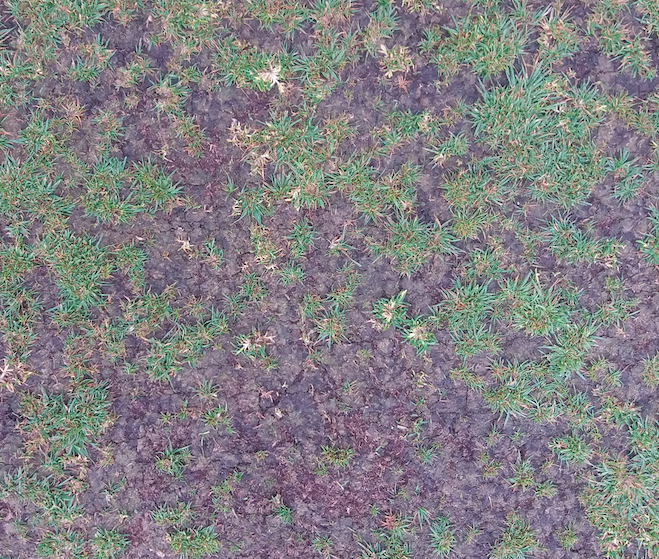 I’ve discovered that very dry spells in March and April usually result in dramatic incidences of LDP in June and through the summer months, on affected greens, so it’s important to give your soil the best chance to recover through the winter months. 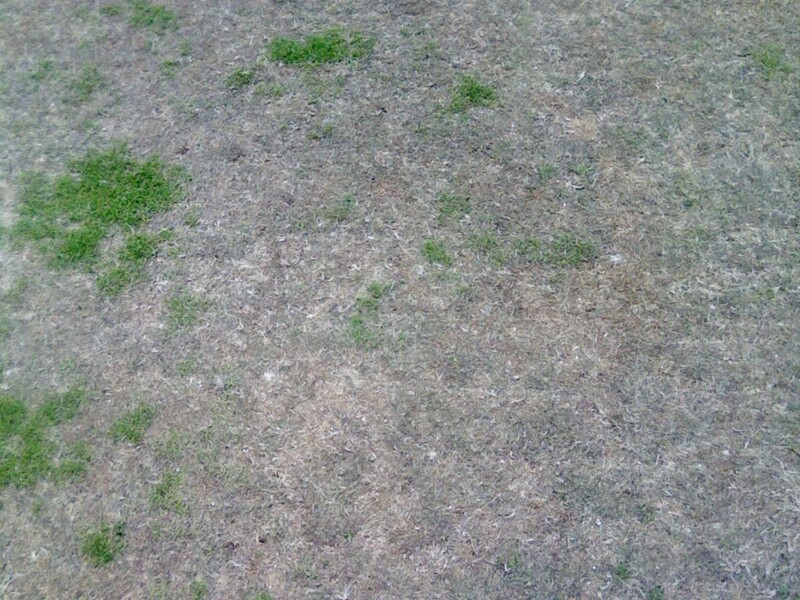 Localised Dry Patch (LDP) is a condition that makes soil hydrophobic or water repellent. For water to remain present in the soil it must adhere to individual soil particles within the micro pore space. Water can’t adhere to soil particles, remains free in the space between, and is quickly pulled out of the rootzone by gravity leaving the soil powder dry. Wetting agents or “wetters” are often used to combat the effects of LDP, but they only offer part of the solution. The waxy coating that causes soil to become hydrophobic can be thought of in the same way as the wax coating you would apply to your car bodywork. When it’s been freshly waxed, your car will repel water easily. If you can see a fine film of water on your bonnet, then this is a sign that it’s time to wax it to protect the paint. Water landing on a waxed car will form distinct beads that will blow off the car as soon as you start moving. The factors at work here are well known properties of water called Adhesion and Cohesion and they are explained in relation to soil water in this article. The water beading effect is caused by High Surface Tension in the water. The molecules of H20 are more inclined to stick to each other than they are to the waxed car. 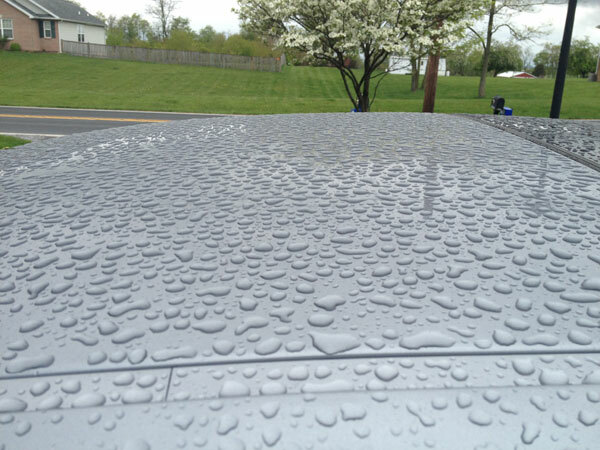 When the water forms a thin, continuous film on an un-waxed car, this is a sign of Low Surface Tension and the water molecules are more inclined to stick to the car. 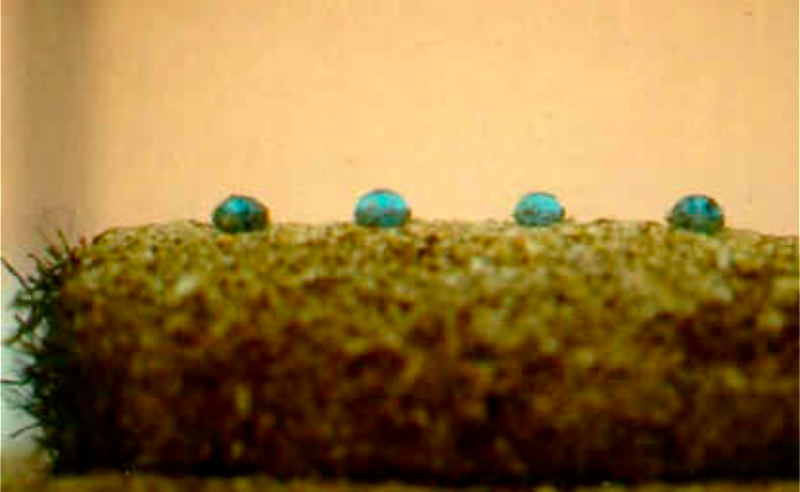 This is a core from an LDP affected green and shows that the water droplets are under high tension. The molecules of water are much more attracted to each other (hence pulling themselves into a pronounced round droplet, rather than being absorbed into the soil. Wetting Agents mainly help to reduce the surface tension of water, so that it can flow into the soil more easily. Allowing the water to be absorbed more easily into the surface is only half the battle though and it is important to deal with the underlying cause, which is the waxy coating on the sand particles. So, for well established dry patch like that in the photos below it’s important to make allowance for stripping the waxy coating off as well as breaking down the surface tension to allow better flow of water into the green surface. 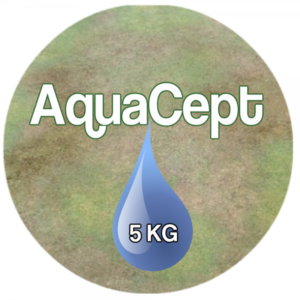 Aquacept a new development in dry patch management. Many turf managers experience a hydrophobic layer 4-6cm thick occurring just below the thatch layer. 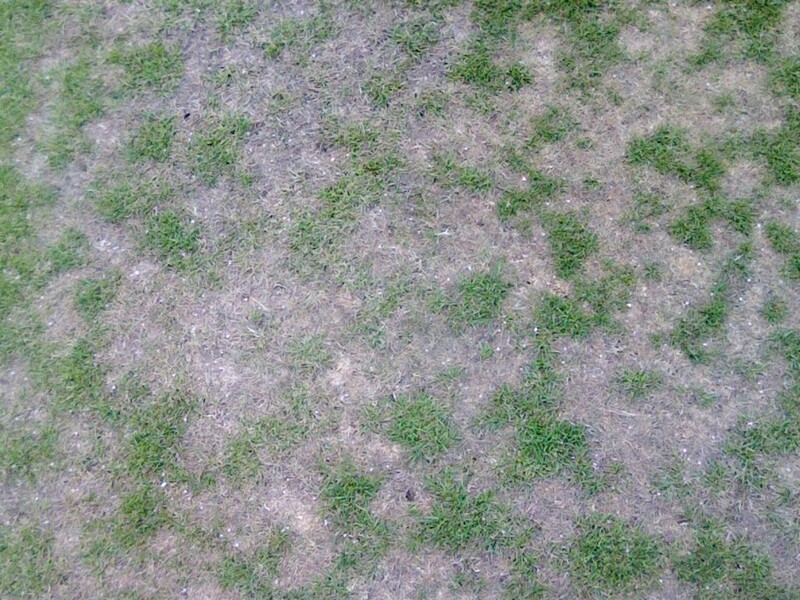 It often occurs in conjunction with or near fairy rings, and causes weak grass susceptible to disease and wear that many wetting agents cannot reach. The hydrophobic layer is caused by organic hydrophobins excreted by fungi that coat the soil particles. The bacteria in AQUACEPT are chosen for their ability to digest these hydrophobins and outcompete the fungi for nutrient, removing the cause of the problem. 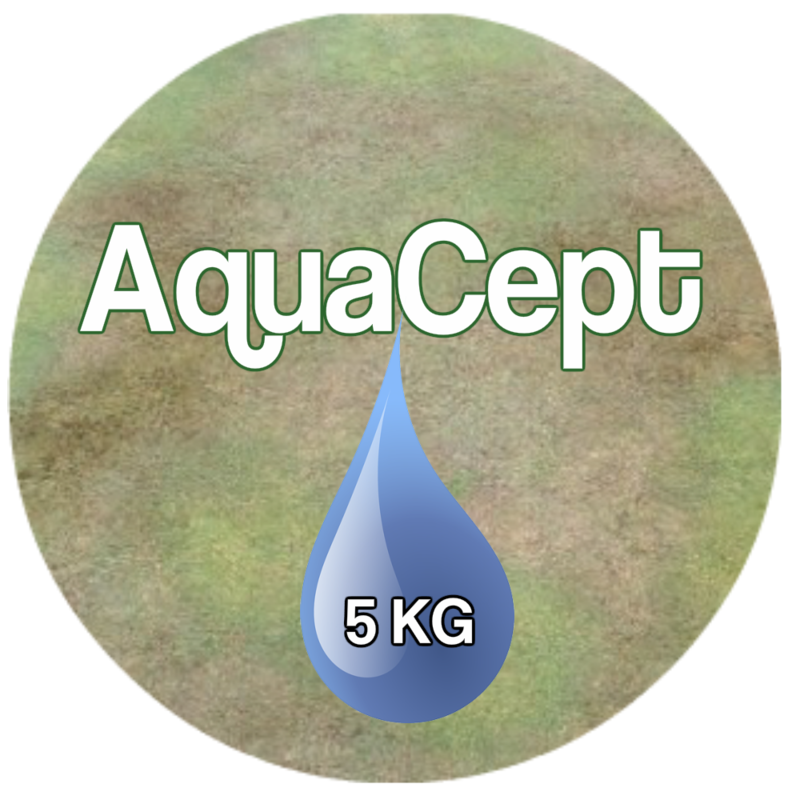 CONTENTS Aquacept contains bacteria chosen for their ability to break down the organic hydrophobins secreted by soil fungi which cause dry patch. 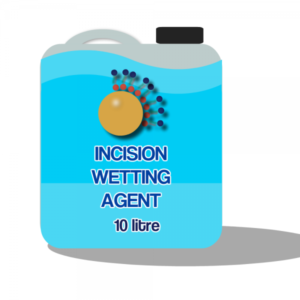 INCISION is a combination of surfactant and polymer technology to ensure the even distribution of water through the rootzone, with polymers to hold the water in a thin film around the soil particle to ensure the all-important airspace around particles is maintained. My name is Wayne Clarke and I’m President of Haydon Wick Bowls Club in Swindon. Since we had a visit from a professional green keeper, because our green has been having problems over the last 3 years. We really have do rectify this problem. I’m interested in acquiring more knowledge and wondered where I would be able to learn more about looking after our green. There are over 300 articles on the site here to read, with most common problems covered in detail. Just use the search box to look for the subject matter you are interested in. Also, make sure you are signed up for my weekly newsletter where I share the latest tips and articles first. You’ll also receive some free ebooks when you signup. In addition to those there is the Bowls Central Academy which has a growing range of online courses and other benefits for you and your club. And of course, you can email me anytime with any problems you have and I will try to help. A good starting point is to use my soil analysis service detailed here. When LDP is already a problem it will help greatly to get a couple of applications of Incision/Aquacept on the green in the autumn. This helps your soil to make the best use of winter rainfall to recover from LDP. Start again in early spring to make sure you have enough Aquacept in place to to counteract the traditional onset of LDP symptoms.